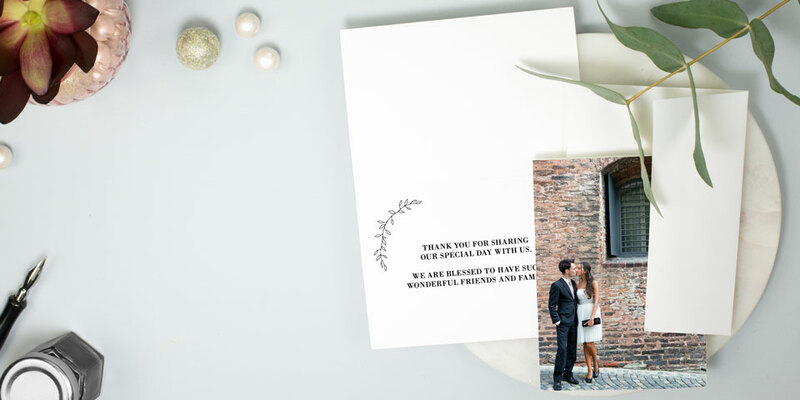 Thank your guests with a chic card featuring your wedding day snapshots or honeymoon pics. Turn your wedded bliss into beautiful, long-lasting art. 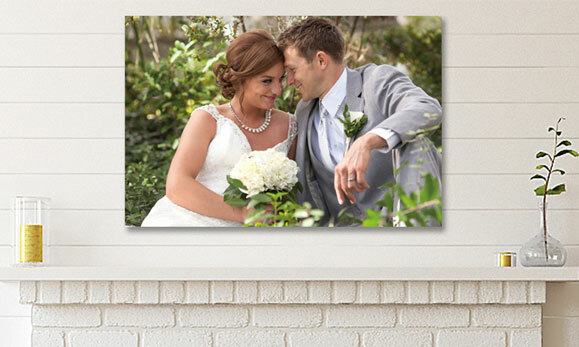 Create custom, high-quality canvas art! 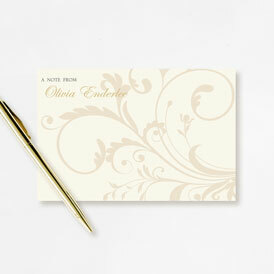 Kick off your marriage with stationery personalized with your new name. Shower the bride-to-be in style! Personalize any design to fit her personality. Celebrate your first season as a married couple! Choose from cards and magnets. 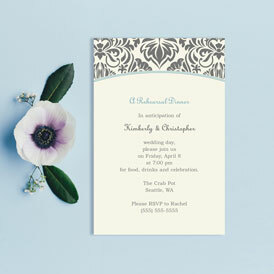 Invite your wedding party to your pre-wedding dinner with trendy designs. Celebrate the bride-to-be in style! 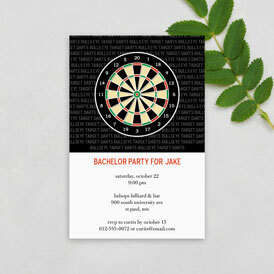 Shop fun designs to fit the party theme. For a night out on the town or a day of golf, find something to kick off the bash! Quick list of simple phrasing and notes to put into your Thank Yous. Add in a short quip or favorite quote as you show thanks to friends and family. When to send, what to say, and how to word your Thank Yous. A how‑to for politely asking for cash gifts instead of another set of flatware. 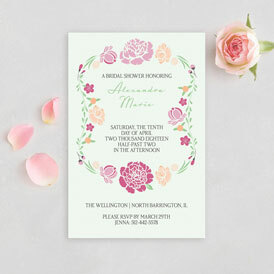 Create personalized invitations, announcements, and stationery for both before and after the wedding! 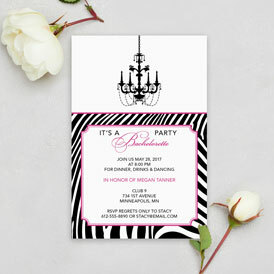 From bridal showers to bachelorette parties, shop party invitations for all your pre-wedding events. 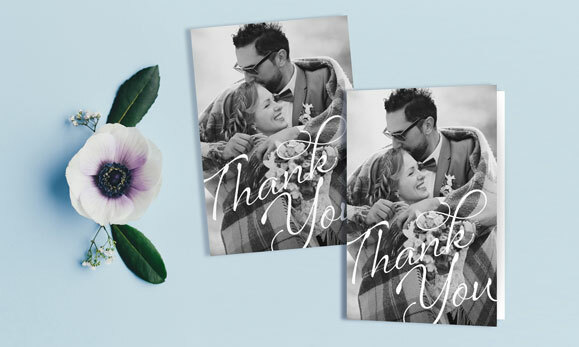 After the aisle, create newlywed stationery and custom artwork by making personalized Thank You Cards, newlywed Holiday Cards, and custom Canvas Prints. Showcase your favorite wedding photos, capture candid shots from the honeymoon, or simply share your favorite love quote—it's up to you! Any design can be completely personalized to fit your vision. Baby's first breaths. Your new home. Life is filled with firsts, lasts, and little victories in between. 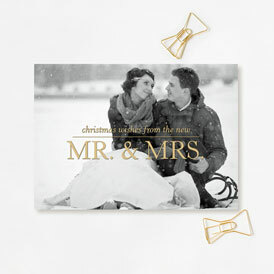 Visit our Life Moments department for more stationery to celebrate the special people and events in your life.